How Long Can My Baby’s Cord Blood Wait to Be Processed? 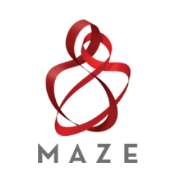 Although located in New York, Maze Cord Blood works with families all over the United States and even throughout the world. One common question parents often ask is whether or not their baby’s cord blood will arrive at our lab in time. The answer is yes! We always tell parents to call the medical courier as soon as their baby is born. Our medical courier, Quick International, will immediately dispatch a staff member directly to the hospital for bed-side pickup of the collection kit. The cord blood is then rushed to our processing lab. The medical courier expedites shipping so the blood arrives at our lab within 12-24 hours. Since your baby’s stem cells are viable for up to 48 hours, no refrigeration or freezing is necessary. We have pick-ups from anywhere in the world, and in most cases, within one hour of your call, 24/7/365. Preparing for your little one can be stressful enough; the last thing you need to worry about is if your baby’s cord blood/tissue will arrive in time. Whether you are in New York, California, or outside of the Unites States, there is no reason to worry. We can process your baby’s cord blood in plenty of time! For more information on post-delivery shipping click here.